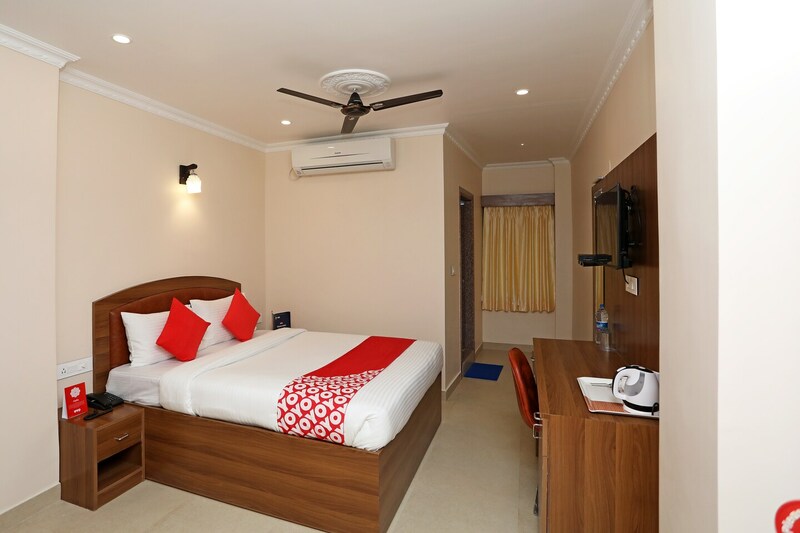 A safe and suitable hotel package in Bhubaneswar! Hotel Kumud Plaza in Bhubaneswar is an ideal lodging with the assurance of a pleasant stay for its guests. The rooms are modest yet impressive with their elegant interiors and wooden furnishings. The wheelchair accessibility offered here makes sure that the hotel remains a feasible and a comfortable affair for one and all. The safety of the guests is considered to be of utmost importance with precautions such as CCTV camera and power backup. Ensuring more convenience, the hotel also provides facilities such as free Wi-Fi connectivity, an in-house restaurant, laundry and the option of card payment.